Musings about truth, faith and reason. So glad we are friends and neighbors. And I will pray you will have a year full of the peace, love and hope that Jesus promises. With Love, Hugs and Prayers. Now I understand to a degree why the sender, a neighbour of ours, would write that. But at the same time I do not. We are clearly atheists. Indeed, back in 2012 on first meeting I happened to say that I was not a believer and it produced a shock; a reaction that how could anyone not be a believer. And I think yesterday’s post supports the view that the reality of the existence of our solar system, all 2.6 billion years of it, shows that religious beliefs of all forms come from an age where the world beyond one’s doorstep was unknown and scary. Things are different now. But to go back to the age of things. That existence of our solar system came about some 9.2 billion years, give or take some 60 million years, after the Big Bang. In other words, the Big Bang, that started the whole thing off, came about three and a half times earlier than the creation of the solar system. So read the following by Prof. Jerry Coyne. It makes perfect sense. As the West becomes more and more secular, and the discoveries of evolutionary biology and cosmology shrink the boundaries of faith, the claims that science and religion are compatible grow louder. If you’re a believer who doesn’t want to seem anti-science, what can you do? You must argue that your faith – or any faith – is perfectly compatible with science. But I argue that this is misguided: that science and religion are not only in conflict – even at “war” – but also represent incompatible ways of viewing the world. universe, with the understanding that these truths are provisional rather than absolute. These tools include observing nature, framing and testing hypotheses, trying your hardest to prove that your hypothesis is wrong to test your confidence that it’s right, doing experiments and above all replicating your and others’ results to increase confidence in your inference. And I’ll define religion as does philosopher Daniel Dennett: “Social systems whose participants avow belief in a supernatural agent or agents whose approval is to be sought.” Of course many religions don’t fit that definition, but the ones whose compatibility with science is touted most often – the Abrahamic faiths of Judaism, Christianity and Islam – fill the bill. Next, realize that both religion and science rest on “truth statements” about the universe – claims about reality. The edifice of religion differs from science by additionally dealing with morality, purpose and meaning, but even those areas rest on a foundation of empirical claims. You can hardly call yourself a Christian if you don’t believe in the Resurrection of Christ, a Muslim if you don’t believe the angel Gabriel dictated the Qur’an to Muhammad, or a Mormon if you don’t believe that the angel Moroni showed Joseph Smith the golden plates that became the Book of Mormon. After all, why accept a faith’s authoritative teachings if you reject its truth claims? The conflict between science and faith, then, rests on the methods they use to decide what is true, and what truths result: These are conflicts of both methodology and outcome. And yet, without supporting evidence, Americans believe a number of religious claims: 74 percent of us believe in God, 68 percent in the divinity of Jesus, 68 percent in Heaven, 57 percent in the virgin birth, and 58 percent in the Devil and Hell. Why do they think these are true? Faith. But different religions make different – and often conflicting – claims, and there’s no way to judge which claims are right. There are over 4,000 religions on this planet, and their “truths” are quite different. (Muslims and Jews, for instance, absolutely reject the Christian belief that Jesus was the son of God.) Indeed, new sects often arise when some believers reject what others see as true. Lutherans split over the truth of evolution, while Unitarians rejected other Protestants’ belief that Jesus was part of God. And while science has had success after success in understanding the universe, the “method” of using faith has led to no proof of the divine. How many gods are there? What are their natures and moral creeds? Is there an afterlife? Why is there moral and physical evil? There is no one answer to any of these questions. All is mystery, for all rests on faith. The “war” between science and religion, then, is a conflict about whether you have good reasons for believing what you do: whether you see faith as a vice or a virtue. So how do the faithful reconcile science and religion? Often they point to the existence of religious scientists, like NIH Director Francis Collins, or to the many religious people who accept science. But I’d argue that this is compartmentalization, not compatibility, for how can you reject the divine in your laboratory but accept that the wine you sip on Sunday is the blood of Jesus? Others argue that in the past religion promoted science and inspired questions about the universe. But in the past every Westerner was religious, and it’s debatable whether, in the long run, the progress of science has been promoted by religion. Certainly evolutionary biology, my own field, has been held back strongly by creationism, which arises solely from religion. What is not disputable is that today science is practiced as an atheistic discipline – and largely by atheists. There’s a huge disparity in religiosity between American scientists and Americans as a whole: 64 percent of our elite scientists are atheists or agnostics, compared to only 6 percent of the general population – more than a tenfold difference. Whether this reflects differential attraction of nonbelievers to science or science eroding belief – I suspect both factors operate – the figures are prima facie evidence for a science-religion conflict. Nor is religion the sole bailiwick of “purposes, meanings and values,” which of course differ among faiths. There’s a long and distinguished history of philosophy and ethics – extending from Plato, Hume and Kant up to Peter Singer, Derek Parfit and John Rawls in our day – that relies on reason rather than faith as a fount of morality. All serious ethical philosophy is secular ethical philosophy. In the end, it’s irrational to decide what’s true in your daily life using empirical evidence, but then rely on wishful-thinking and ancient superstitions to judge the “truths” undergirding your faith. This leads to a mind (no matter how scientifically renowned) at war with itself, producing the cognitive dissonance that prompts accommodationism. If you decide to have good reasons for holding any beliefs, then you must choose between faith and reason. And as facts become increasingly important for the welfare of our species and our planet, people should see faith for what it is: not a virtue but a defect. I would love to have your views. I will do no more than to post the description of the film that was provided on Top Documentary Films. The long-awaited second part of the unauthorized documentary series based on Carl Sagan’s groundbreaking 1994 book has arrived. The insightful Pale Blue Dot: Humility examines how our perspective on the vastness of the cosmos has shaped our shifting sense of self through the ages. Pieced together as a mosaic of pop culture clips, historical stills and footage, appealing animations, and Sagan’s own audio commentary, the film is a rebuke against the plague of bloated self-importance, and the need to claim superiority over others for control of insignificant specks of territory. Even the field of science has not immune to these selfish pursuits. From that foundation, Sagan’s probing commentary provides a brief recap of our understanding of the heavens and the Earth throughout history. This evolution of discovery represents an epic and ongoing battle between our quest for supremacy and the reality of our insignificance. For many generations, the deeply held belief that the Earth was the center of the universe was impervious to reason or to revelations obtained through further investigation. Mainstream thinking was slow to evolve when it came to the correlation between the Earth and the Sun, for example, or the age of our planet in comparison to the universe at large. The widespread and steadfast acceptance of various theologies further clouded our capacity for reasoned judgment. But the ceaseless canvas of the universe – adorned with hundreds of billions of galaxies, distant planets and brilliant stars – provides the ultimate lesson in humility. Our modern understanding of the universe demands a more nuanced and less conceited perspective. Yet our yearning to give special meaning to our existence is a barrier to these scientific discoveries. After all, we have to be here for a reason. As Sagan states during the course of the film, it is a battle between our quest for “deep knowledge and shallow reassurance”. It is obvious that great care went in to assembling the film, and the flow of complex information is cleanly and artfully presented. Pale Blue Dot: Humility is an affectionate representation and tribute to Sagan’s trailblazing intellect. But as well as wanting to share this with you it also serves as an introduction to tomorrow’s post. Won’t say any more just now. Good people, this is mid-Winter. OK, not in the sense of weather because the worse is yet to come I’m sure. But in terms of the movement of the Planet Earth in its orbit around the Sun. And that’s what matters! This is a really ancient moment as the following article published in The Conversation explains in much more detail. On the day of winter solstice, many Native American communities will hold religious ceremonies or community events. The winter solstice is the day of the year when the Northern Hemisphere has the fewest hours of sunlight and the Southern Hemisphere has the most. For indigenous peoples, it has been a time to honor their ancient sun deity. They passed their knowledge down to successive generations through complex stories and ritual practices. As a scholar of the environmental and Native American religion, I believe, there is much to learn from ancient religious practices. For decades, scholars have studied the astronomical observations that ancient indigenous people made and sought to understand their meaning. One such place was at Cahokia, near the Mississippi River in what is now Illinois across from St. Louis. To understand the purpose of Woodhenge, scientists watched the sun rise from this structure on winter solstice. What they found was telling: The sun aligned with both Woodhenge and the top of a temple mound – a temple built on top of a pyramid with a flat top – in the distance. They also found that the sun aligns with a different temple mound on summer solstice. Archaeological evidence suggests that the people of Cahokia venerated the sun as a deity. Scholars believe that ancient indigenous societies observed the solar system carefully and wove that knowledge into their architecture. Scientists have speculated that the Cahokia held rituals to honor the sun as a giver of life and for the new agricultural year. Zuni Pueblo is a contemporary example of indigenous people with an agricultural society in western New Mexico. They grow corn, beans, squash, sunflowers and more. Each year they hold annual harvest festivals and numerous religious ceremonies, including at the winter solstice. At the time of the winter solstice they hold a multiday celebration, known as the Shalako festival. The days for the celebration are selected by the religious leaders. The Zuni are intensely private, and most events are not for public viewing. But what is shared with the public is near the end of the ceremony, when six Zuni men dress up and embody the spirit of giant bird deities. These men carry the Zuni prayers for rain “to all the corners of the earth.” The Zuni deities are believed to provide “blessings” and “balance” for the coming seasons and agricultural year. Not all indigenous peoples ritualized the winter solstice with a ceremony. But that doesn’t mean they didn’t find other ways to celebrate. The Blackfeet tribe in Montana, where I am a member, historically kept a calendar of astronomical events. They marked the time of the winter solstice and the “return” of the sun or “Naatosi” on its annual journey. They also faced their tipis – or portable conical tents – east toward the rising sun. They rarely held large religious gatherings in the winter. Instead the Blackfeet viewed the time of the winter solstice as a time for games and community dances. As a child, my grandmother enjoyed attending community dances at the time of the winter solstice. She remembered that each community held their own gatherings, with unique drumming, singing and dance styles. Later, in my own research, I learned that the Blackfeet moved their dances and ceremonies during the early reservation years from times on their religious calendar to times acceptable to the U.S. government. The dances held at the time of the solstice were moved to Christmas Day or to New Year’s Eve. Today, my family still spends the darkest days of winter playing card games and attending the local community dances, much like my grandmother did. Although some winter solstice traditions have changed over time, they are still a reminder of indigenous peoples understanding of the intricate workings of the solar system. Or as the Zuni Pueblo’s rituals for all peoples of the earth demonstrate – of an ancient understanding of the interconnectedness of the world. We are all of us interconnected across the world. We have been for a very long time. The importance of understanding this, truly understanding this, is critical to our future. Why don’t we do this? The day of the dogs. I saw this on the BBC News site back in November and had been meaning to share it with you before now. But it’s still highly relevant. Do no more than go straight into the article. Every dog has its day, and for canines in Nepal that phrase could not be more literal. The five-day Nepalese Hindu festival of Tihar started this week and the second day is known as Kukur Tihar or “day of the dogs”. Dogs are celebrated and blessed with a Tika – a red mark applied to their forehead. The animals are also given flowers, garlands and offered food as part of the festival. Hindus believe that dog is the messenger of Yamaraj – the God of death – and by keeping the dogs in good humour they will be able to appease Yamaraj himself. The festival, which shares some traditions with Diwali in India, also celebrates cows and crows. It is not just beloved pets who are involved in the celebrations. Stray dogs are honoured on the day too. Treats given to dogs during Kukur Tihar can range from meat, milk, eggs and good quality dog food. Tihar is also called Deepavali or the festival of lights. Throughout this festival, people in Nepal clean their houses and courtyards; light up lamps and pray to Laxmi – the Goddess of Wealth – urging her to visit their houses and bless them. Back to politics of the bigger order. The remarkable story of how the hard-right Koch brothers funded a Trotskyite splinter group. Dark money is among the greatest current threats to democracy. It means money spent below the public radar, that seeks to change political outcomes. It enables very rich people and corporations to influence politics without showing their hands. Among the world’s biggest political spenders are Charles and David Koch, co-owners of Koch Industries, a vast private conglomerate of oil pipelines and refineries, chemicals, timber and paper companies, commodity trading firms and cattle ranches. If their two fortunes were rolled into one, Charles David Koch, with $120bn, would be the richest man on Earth. Over the years, she notes, “the company developed a stunning record of corporate malfeasance”. Koch Industries paid massive fines for oil spills, illegal benzene emissions and ammonia pollution. In 1999, a jury found that it had knowingly using a corroded pipeline to carry butane, which caused an explosion in which two people died. Company Town, a film released last year, tells the story of local people’s long fight against pollution from a huge papermill owned by the Koch brothers. To these ends the Kochs set up bodies in all three categories themselves, such as the Mercatus Center at George Mason University, the Cato Institute and the “citizens’ group” Americans for Prosperity. But for the most part they funded existing organisations that met their criteria. They have poured hundreds of millions of dollars into a network of academic departments, thinktanks, journals and movements. And they appear to have been remarkably successful. As researchers at Harvard and Columbia universities have found, Americans for Prosperity alone now rivals the Republican party in terms of size, staffing and organisational capacity. It has pulled ”the Republican party to the far-right on economic, tax, and regulatory issues.” It was crucial to the success of the Tea Party Movement, the ousting of Democrats from Congress, and the staffing of Trump’s transition team. The Koch network has helped secure massive tax cuts, the smashing of trade unions and the dismantling of environmental legislation. Until now, there has been no evidence that Charles and David Koch have directly funded organisations based in the UK. But a few weeks ago, a reader pointed me to one line he found in a form submitted to the US government by the Charles Koch Foundation, which showed money transferred to a company that appears to be the US funding arm of a UK organisation. Once I had grasped its significance, I set up a collaboration with the investigative group DeSmog UK. We could scarcely believe what we were seeing. The organisation the Charles Koch Foundation has chosen to fund is at first sight astounding: a US organisation established by an obscure magazine run by former members of a tiny Trotskyite splinter group. Some of its core contributors still describe themselves as Marxists or Bolsheviks. But the harder you look at it, the more sense the Koch donations appear to make. The name of the magazine is Spiked. It emerged from a group with a comical history of left factionalism. In 1974, the International Socialists split after a dispute over arithmetic in Volume 3 of Das Kapital. One of the new factions formed the Revolutionary Communist Group. In 1976, it split again, and one of the splinters became the Revolutionary Communist Tendency. It was led by a sociologist at the University of Kent called Frank Furedi. In 1981 it changed its name to the Revolutionary Communist Party. In 1988, the party launched a magazine called Living Marxism (later LM). By then, it had abandoned many of its former convictions. Among the few discernible traces of its revolutionary past was an enthusiasm for former communists in the Balkans, such as Slobodan Milošević. In 2000, it closed after losing a libel case: it falsely claimed that ITN had fabricated evidence of Serb atrocities against Bosnian Muslims. But as soon as the magazine folded, a network of new groups, with the same cast of characters – Frank Furedi, Claire Fox, Mick Hume, Brendan O’Neill, James Heartfield, Michael Fitzpatrick, James Woudhuysen – sprang up to replace it. Among these organisations were the Institute of ideas, the Academy of Ideas, the Manifesto Club and a new magazine, Spiked. It had the same editor as LM (Mick Hume) and most of the same contributors. We found three payments over the past two years from the Charles Koch Foundation. They amount to $170,000, earmarked for “general operating support”. The payments were made to Spiked US Inc. On Spiked’s “Donate” page is a button that says “In the US? Donate here”. It takes you to the PayPal link for “Spiked US, Inc”. Spiked US, in other words, appears to be its American funding arm. Beyond a postal address is Hoboken, New Jersey, it is hard to see what presence it has in the US. It appears to have been established in 2016, the year in which the Koch donations began. But I have been unable to find any public acknowledgement of this funding. Neither on the videos of the debates, in the posters advertising them or in reports of the events in Spiked magazine is there any mention of the Charles Koch Foundation. From what I could see of the title slides in the videos, they acknowledged an organisation called the Institute for Humane Studies, but not the Foundation. Spiked has yet to reply to my questions on this matter. The Koch brothers are famously careful with their money. According to Jane Mayer, they exert “unusually tight personal control over their philanthropic endeavours”. David Koch told a sympathetic journalist, “If we’re going to give a lot of money, we’ll make darn sure they spend it in a way that goes along with our intent. And if they make a wrong turn and start doing things we don’t agree with, we withdraw funding.” So what might have attracted them to this obscure organisation? Spiked magazine, now edited by Brendan O’Neill, appears to hate left-wing politics. It inveighs against the welfare state, against regulation, the Occupy movement, anti-capitalists, Jeremy Corbyn, George Soros, #MeToo, “black privilege” and Black Lives Matter. It does so in the name of the “ordinary people”, whom, it claims, are oppressed by the “anti-Trump and anti-Brexit cultural elites”, “feministic elites”, “green elites” and “cosmopolitan politicians”. It repeatedly defends figures on the hard right or far right: Katie Hopkins, Nigel Farage, Alex Jones, the Democratic Football Lads’ Alliance, Tommy Robinson, Toby Young, Arron Banks, Brett Kavanaugh, Viktor Orban. They are portrayed as victims of “McCarthyites” trying to suppress free speech. It demands the hardest of possible Brexits, insisting that “No Deal is nothing to fear”, as it would allow the UK to scrap EU regulations. But what it appears to hate most is environmentalism. It rails against “climate scaremongering”, and has called for fracking and coal production to be ramped up. It blames the Grenfell Tower disaster on “the moral fervour of the climate change campaign”. It mocks the idea that air pollution is dangerous and has proposed abolishing the planning system. “We need to conquer nature, not bow to it,” it contends. “Let’s make the ‘human footprint’ even bigger”. Spiked’s writers rage against exposures of dark money. It calls the Observer’s Carole Cadwalladr, who has won a string of prizes for exposing the opaque spending surrounding the Brexit vote, “the closest thing the mainstream British media has to an out-and-out conspiracy theorist”. It carries numerous articles by writers from the obscurely-funded Institute of Economic Affairs and from the Cato Institute, that was founded by Charles Koch. Its editor, Brendan O’Neill, also writes for Reason Magazine, owned by the Reason Foundation, which has received $1 million from the Charles Koch Foundation over the past two years. Bizarrely, Spiked still uses Leon Trotsky to justify its positions. It claims to have built its philosophy on his objective of “increasing the power of man over nature and … the abolition of the power of man over man”. This means, it says, that “we should fight for greater human dominion over the natural world”, and that regulatory power should not be used to prevent anyone from exercising their agency. The result appears to turn Trotsky’s objective on its head: without constraint, those with the greatest agency can exercise uninhibited power over others. Its enthusiasm for Trotsky is highly selective. As one of Spiked’s writers noted in 2002, his central message was that “the retreat behind national boundaries is a recipe for reaction”. Yet the magazine’s defence of both Brexit and Viktor Orban, Hungary’s right-wing prime minister, is founded on the notion of national sovereignty. Spiked seems to have remembered everything Leon Trotsky wrote that could be recruited to the cause of corporate capital and the hard right, and forgotten all his, shall we say, less enthusiastic musings about those forces. Above all, its positions are justified with the claim to support free speech. But the freedom all seems to tend in one direction: freedom to lambast vulnerable people. The Unsafe Space tour that the Charles Koch Foundation financed was heavily slanted towards this line. Yet, when I exercised my freedom of speech in sending my questions to Spiked, I was denounced on the front page of the magazine as a “McCarthyite”. This is its favourite insult, which it uses prolifically to dismiss legitimate inquiries and critiques. The usual term for asking awkward questions about powerful interests is journalism. Open information and transparency are crucial to free speech: the more we know, the freer we become. Spiked has also called for schools, universities and governments to be “cleansed” of “the malign influence” of green NGOs, which it denounces as “the environmentalist enemy within.” Some friends of free speech, these. The Kochs are mentioned in several Spiked articles, but no corresponding interests are declared. An article in 2016, when Spiked received $170,000 from the Charles Koch Foundation, attacked the Standing Rock protests against the Dakota Access Pipeline, in which the Koch brothers have a major interest. Is this the extent of the Koch brothers’ funding of groups based in the UK? Who knows? I have not yet had a response from the Charles Koch Foundation. But I see these payments as part of a wider pattern of undisclosed funding. Democracy without transparency is not democracy. If I was a younger man I would be very active in trying to stop this threat to our open society. All I can do is to republish this insightful essay by George Monbiot and hope that a few of you didn’t realise this thing was going on, and are concerned! Despite Tom Engelhardt giving me permission years ago to republish his essays I rarely go down that path. Not because many of his essays aren’t deeply interesting but because he doesn’t to the best of my knowledge write about dogs! However, a recent TomDispatch was sufficiently concerning that I am republishing it for you. It’s quite a long article. Posted by Alfred McCoyat, December 2, 2018. Whether you realize it or not, we are in a new age of imperial geopolitics on a grand — and potentially disastrous — scale. TomDispatch regular Alfred McCoy, author of In the Shadows of the American Century: The Rise and Decline of U.S. Global Power, lays out devastatingly just what that is likely to mean in the age of Donald Trump. And once you’ve read his piece on a century-plus of geopolitical thinkers who helped reorganize this planet in genuinely discordant ways, perhaps you’ll feel it’s time for us to imagine a new kind of geopolitics, one that finally addresses the disaster of empire and the ways in which such geopolitical thinking now intersects with another kind of disaster: climate change. For catastrophic as the previous versions of geopolitics may have been, just wait until such imperial and national follies, including the drive of China and India to build new coal plants galore, meet global warming. By this century’s end, that phenomenon may leave significant parts of the planet facing six nightmarish crises at once, ranging from mega-droughts and mega-fires to rising sea levels and catastrophic flooding. Or what about the possibility that intense heat waves (sparked in part by the massive burning of coal) will, later in this century, make the north China plain, now the most heavily populated part of that country, uninhabitable and do the same for parts of northern India and South Asia? Or what about the recent estimate in a congressionally mandated report on climate change (carefully released by the Trump administration on Black Friday in an attempt to bury it) that this country will also be deeply affected, as, for instance, wildfires of the kind that just devastated parts of California will triple, and the U.S. economy will be downsized by 10% or more by 2100? As Washington’s leadership fades more quickly than anyone could have imagined and a new global order struggles to take shape, a generation of leaders has crowded onto the world stage with their own bold geopolitical visions for winning international influence. Xi Xinping has launched his trillion-dollar “Belt and Road Initiative” to dominate Eurasia and thereby the world beyond. To recover the Soviet Union’s lost influence, Vladimir Putin seeks to shatter the Western alliance with cyberwar, while threatening to dominate a nationalizing, fragmenting Eastern Europe through raw military power. The Trump White House, in turn, is wielding tariffs as weapons to try to beat recalcitrant allies back into line and cripple the planet’s rising power, China. However bizarrely different these approaches may seem, they all share one strikingly similar feature: a reliance on the concept of “geopolitics” to guide their bids for global power. Over the past century, countless scholars, columnists, and commentators have employed the term “geopolitics” (or the study of global control) to lend gravitas to their arguments. Few, though, have grasped the true significance of this elusive concept. However else the term might be used, geopolitics is essentially a methodology for the management (or mismanagement) of empire. Unlike conventional nations whose peoples are, in normal times, readily and efficiently mobilized for self-defense, empires, thanks to their global reach, are a surprisingly fragile form of government. They seem to yearn for strategic visionaries who can merge land, peoples, and resources into a sustainable global system. In his own account, however, Caesar reduced all of this to its geopolitical essentials. “All Gaul is divided into three parts,” he wrote in that famous first sentence of his Gallic Wars. “Of all these, the Belgae are the bravest, because… they are the nearest to the Germans, who dwell beyond the Rhine, with whom they are continually waging war; for which reason the Helvetii also surpass the rest of the Gauls in valor, as they contend with the Germans in almost daily battles.” When those formidable Helvetii marched out of their Alpine cantons to occupy Gallic lowlands in 58 BC, Caesar deployed geopolitics to defeat them — seizing strategic terrain, controlling their grain supplies, and manipulating rival tribes. Instead of enslaving the vanquished Helvetii as other Roman generals might have, Caesar, mindful of the empire’s geopolitical balance, returned them to their homelands with generous provisions, lest the German “barbarians” cross the Rhine and destabilize Gaul’s natural frontier. In more modern times, imperial expansion has been guided by professional scholars who have made the formal study of geopolitics a hybrid field of some significance. Its intellectual lineage is actually remarkably straightforward. At the end of the nineteenth century, an American naval historian argued that seapower was the key to national security and international influence. A decade later, a British geographer observed that railroads had shifted the locus of global power landward into the interior of the vast Eurasian continent. In the succeeding century, a succession of scholars would draw on these two basic ideas to inspire bold geopolitical gambits by Nazi Germany, Cold War Washington, post-Soviet Russia, and even Donald Trump’s White House. There is, in fact, a common thread in those disparate scholarly lives: in each case, the study of geopolitics seemed to change the trajectory of their careers, lifting them from the margins of society to the right hand of power. There, at moments when the empire they lived in was experiencing a crisis, their unconventional, even eccentric, ideas won influence — often in what would prove in the long term a nightmarish fashion. Over the last century or so, while the actual application of such thinking regularly proved problematic at best and genuinely horrific at worst, geopolitics would remain a seductive concept with a persistent power to entice would-be practitioners. It would also prove an enormously elusive style of thinking, making it difficult to distinguish between the banal and the brilliant, between the imperially helpful and the imperially devastating. Charting the interplay of land, people, and resources inside any empire, much less in a clash between such behemoths, is impossibly difficult. Admittedly, geopolitics in the hands of a grandmaster has, in the past, led to the crushing of armies and the conquest of continents. But seemingly similar strategies have also produced searing defeat and disaster. Caesar’s deft geopolitical balancing of Gaul and Germany on the fulcrum of the Rhine survived for some four centuries; Napoleon’s similar attempt lasted all of seven years. Telling the difference, in the historical moment, is a daunting task and one that hasn’t turned out well in the last century. With that in mind, let’s now approach the careers of five modern “grandmasters” of geopolitics with an appropriate skepticism. In 1890, as the industrial boom of the Gilded Age prepared the nation for a debut on the world stage, Captain Alfred Thayer Mahan, arguably America’s only original strategic thinker, published his famed Influence of Seapower Upon History. In it, he argued that naval power was the determining factor in the fate of nations. Born at West Point, where his father taught military tactics to Army cadets, Mahan came to the study of strategy almost by birthright. After graduating from the Naval Academy and having an indifferent career at sea, he became the head of the Naval War College in 1886. There, he developed novel geopolitical ideas that would revive a stalled career. By analyzing sea power through a wide range of factors, including the defensibility of ports, national technological prowess, and the nature of good government, Mahan would produce the first serious study of geopolitics in the guise of a guide to naval strategy. In the process, he became an international celebrity, influencing admirals from London to Tokyo and inspiring leaders worldwide to join a naval arms race that would drain their treasuries to build costly battleships. The admiral who headed Germany’s navy, for instance, distributed 8,000 copies of Mahan’s history in translation and in the process won passage of the country’s first naval bill in 1898, funding his fateful challenge to British sea power. As Europe’s empires continued to spread globally in the 1890s, Mahan’s prolific prose persuaded Washington that national defense required the creation of a genuine blue-water navy and bases in both the Caribbean and the Pacific. So important were such bases for the nation’s defense that, as Mahan gravely concluded, “No European state should henceforth acquire a coaling position within three thousand miles of San Francisco” — a distance that encompassed the Hawaiian Islands, soon to become U.S. possessions. Like many advocates of geopolitics to come, Mahan would use seemingly precise strategic concepts to project his country’s current position into a murky future. As his geopolitical principles took physical form after 1898, they would produce an indefensible string of bases stretching across the Pacific from Panama to the Philippines. Following his doctrine, the Navy ordered Admiral George Dewey’s squadron to seize Manila Bay during the Spanish-American War of 1898, which he did by sinking the Spanish fleet. Within five years, however, Japan’s stunning victory over the Russian fleet in the Sea of Japan forced Washington to withdraw much of its navy from the Western Pacific. In 1907, President Theodore Roosevelt began building a new Pacific bastion at Pearl Harbor in Hawaii, not in Manila Bay, saying that the Philippines, by then an American colony, is “our heel of Achilles.” Making matters worse, the Versailles peace settlement at the end of World War I conceded the Mariana Islands in the Western Pacific to Japan, allowing its navy to block the sea-lanes from Pearl Harbor to Manila Bay — a geopolitical reality that would doom General Douglas MacArthur’s Philippine command to a searing defeat at the start of World War II. At that war’s end, however, Washington finally resolved this geopolitical conundrum by conquering Japan and building a chain of more than 100 bases from that country to the Philippines, making the Pacific littoral the strategic fulcrum for the defense of one continent (North America) and dominion over another (Eurasia). This path-breaking analysis came at a fortuitous time in Mackinder’s academic career. After teaching geography at Oxford for 10 years, he had failed to win a professorship and his marriage collapsed. At this low ebb in his life, he tried to establish himself as an exploratory geographer by making the first recorded ascent of Mount Kenya. Using the “moral suasion of my Mauser” rifle to force his 170 African bearers to “obey like the faithful dogs they are,” Mackinder moved through the famine-stricken foothills leading to that mountain by extracting food from hungry villages at gunpoint. Then, in September 1899, at the cost of 10 porters shot and many more whipped for “malingering,” he traversed glaciers to reach the summit at 17,000 feet. His triumph before a cheering crowd at the Royal Geographical Society in London was, however, marred not by his treatment of those bearers but by his failure to bring back significant findings or scientific specimens. Mackinder’s expertise in imperial geopolitics helped launch his political career, including gaining him a seat in Parliament. In 1919, amid the turmoil of the Russian revolution, Britain was shipping arms to anti-Bolshevik forces there under General Anton Denikin. At Winston Churchill’s behest, the cabinet then appointed Mackinder as a special high commissioner for southern Russia. In a unique test of his “heartland” theory, Mackinder made an abortive attempt to rally the Czarist forces by meeting General Denikin inside his railcar in the Caucasus to propose an alliance with Poland and promise a mass evacuation in the event of defeat. Upon return to London, ignoring the general’s role in slaughtering some 100,000 Jews, Mackinder recommended recognizing his government and providing aid — advice the cabinet quickly dismissed. From that brief moment at the apex of power, Mackinder soon fell into obscurity — losing his seat in Parliament, retiring from the LSE, and settling into a sinecure as chairman of the Imperial Shipping Committee. Were it not for the surprising later appeal of his ideas in Nazi Germany and Vladimir Putin’s Russia, his name would have been largely forgotten. As the Versailles peace conference of 1919 stripped Germany of its colonial empire and placed its Rhineland frontier under foreign occupation, Karl Haushofer exchanged his general’s baton for a geography professorship at Munich University. There, he would apply Mackinder’s concepts in an attempt to assure that his fatherland would never again engage in the sort of strategic blunders that, in World War I, had led to such a humiliating defeat. While Mackinder himself was courting the powerful in postwar London, Haushofer was teaching geopolitics to future top Nazis in Munich — first to his graduate assistant Rudolf Hess (later to become the deputy Führer), and then to Adolf Hitler himself while he was writing Mein Kampf during his incarceration at Munich’s Landsberg Prison in 1924. Both Haushofer and his son Albrecht, who would train Nazi diplomats in the geopolitics of European conquest, were later rewarded with influential positions in the Third Reich. By dressing the British don’s idea of the Eurasian heartland as the pivot of world power in the local garb of Lebensraum (or “the Greater German Reich’s dazzling ascent by war… for extension of its living space”), Haushofer helped propagate an enticing logic of expansion that would send Hitler’s army on the road to defeat. In 1942, Hitler dispatched a million men, 10,000 artillery pieces, and 500 tanks to breach the Volga River at Stalingrad and capture Russia’s heartland for lebensraum. In the end, the Reich’s forces would suffer 850,000 casualties — killed, wounded, and captured — in a vain attempt to break through the East European rimland into the world island’s heartland. Appalled by the attack on Russia, Haushofer’s son joined the underground’s attempt to assassinate Hitler and was imprisoned. Before he was finally shot by the SS (on the day the Allies captured Berlin), he would compose mournful sonnets about geopolitical power, which he saw metaphorically as buried deep under the sea until “my father broke the seal” and “set the demon free to roam throughout the world.” A few months later, Karl Haushofer and his Jewish wife committed suicide together when confronted with the possibility that the victorious allies might prosecute him as a senior Nazi war criminal. As the United States recoiled from its searing defeat in Vietnam, Zbigniew Brzezinski, an émigré Polish aristocrat and autodidact when it came to geopolitics, went from teaching international relations in New York to being President Jimmy Carter’s national security advisor in Washington. There, his risky geopolitical gambits gained an attentive audience after the Soviet Red Army invaded Afghanistan in 1979. In the aftermath of the Soviet Union’s collapse, a Russian rightist ideologue, Alexander Dugin, would revive Mackinder’s ideas yet again to promote expansion into Eurasia. In the process, he would become “a major influence” on Russian President Vladimir Putin. In the 1980s, as the Soviet Union was beginning to unravel, Dugin was still moving in Moscow’s bohemian circles as a dabbler in the occult and a fringe member of the “ultra-nationalist and anti-Semitic organization Pamiat.” After the Soviet collapse, he became chief ideologue for an eclectic alliance of patriotic and punk-rock groups called the New Bolshevik Party, serving as its candidate for a seat in the 1995 Duma legislative elections and winning just 1% of the vote. At this political nadir for both him and his country, Dugin recycled Mackinder’s long-forgotten writings in a 1997 bestseller, The Foundation of Geopolitics: Russia’s Geopolitical Future. As his book moved into its fourth printing and he “became a pole star for a broad section of Russian hardliners,” he began teaching geopolitics to military officers at the General Staff Academy, later lecturing on it to elite students at Moscow State University, and anchoring Landmarks, a weekly television show on the subject. In those years, Moscow bookstores even opened special sections for geopolitics, the legislature formed a geopolitics committee, and the Russian leadership began to embrace Dugin’s vision of expansionist nationalism. Drawing on Haushofer’s German writings, he argued that Russia should become a Eurasian bastion against “the conspiracy of ‘Atlanticism’ led by the United States and NATO… aimed at containing Russia within successive geographic rings” of the former Soviet republics. To achieve the destiny envisioned by Mackinder, Russia needed, in Dugin’s view, to dominate Eurasia — annexing Ukraine, conquering Georgia, incorporating Finland, and bringing the Balkan states (Serbia, Romania, and Bulgaria) under its rule as an Orthodox “Third Rome.” To advance such ideas, Dugin founded the Eurasia Youth Union of Russia in 2005, first to serve as “human shields” to fight against the Orange revolution in Ukraine and later to counter the “degeneration” caused by American cultural influence. For the past decade, he has been a forceful advocate for Russian expansionism. During that country’s war with Georgia in 2008, he was photographed with a rocket launcher in South Ossetia and quoted in the national press calling for its annexation. After serving as “the brains behind Vladimir Putin’s wildly popular annexation of Crimea” in March 2014, Dugin embraced the Russian minority in eastern Ukraine, prodding the Russian president to openly support their separatist militia. While advocacy of aggressive geopolitics has given Dugin significant political influence and Putin unprecedented popularity in Russia, it is still unclear whether in the long run such expansionism, in defiance of international norms, will prove a geopolitical masterstroke or a diplomatic debacle. Most recently, a dissident economist and failed California politician named Peter Navarro has parlayed his hostility toward China into the role of key architect of Donald Trump’s “trade war” against Beijing. Like his Russian counterpart Alexander Dugin, Navarro is another in a long line of intellectuals whose embrace of geopolitics changed the trajectory of his career. Raised by a single mom who worked secretarial jobs to rent one-bedroom apartments where he slept on the couch, Navarro went to college at Tufts on a scholarship and earned a doctorate in economics from Harvard. Despite that Ivy League degree, he remained an angry outsider, denouncing the special interests “stealing America” in his first book and later, as a business professor at the University of California-Irvine, branding San Diego developers “punks in pinstripes.” A passionate environmentalist, in 1992 Navarro plunged into politics as a Democratic candidate for the mayor of San Diego, denouncing his opponent’s husband as a convicted drug-money launderer and losing when he smirked as she wept during their televised debate. For the next 10 years, Navarro fought losing campaigns for everything from city council to Congress. He detailed his crushing defeat for a seat in the House of Representatives in a tell-all book, San Diego Confidential, that dished out disdain for that duplicitous “sell out” Bill Clinton, dumb “blue-collar detritus” voters, and just about everybody else as well. Following his last losing campaign for city council, Navarro spent a decade churning out books attacking a new enemy: China. His first “shock and awe” jeremiad in 2006 told horror stories about that country’s foreign trade; five years later, Death By China was filled with torrid tales of “bone-crushing, cancer-causing, flammable, poisonous, and otherwise lethal products” from that land. In 2015, a third book turned to geopolitics, complete with carefully drawn maps and respectful references to Captain Mahan, to offer an analysis of how China’s military was pursuing a relentless strategy of “anti-access, area denial” to challenge the U.S. Navy’s control over the Western Pacific. Just a year after reaching that controversial conclusion, Navarro joined the Trump election campaign as a policy adviser and then, after the November victory, became a junior member of the White House economic team. As a protectionist in an administration initially dominated by globalists, he would be excluded from high-level meetings and, according to Time Magazine, “required to copy chief economic adviser Gary Cohn on all his emails.” By February 2018, however, Cohn was on his way out and Navarro had become assistant to the president, with his new trade office now the co-equal of the National Economic Council. As the chief defender of Trump’s belief that “trade wars are good and easy to win,” Navarro has finally realized his own geopolitical dream of attempting to check China with tariffs. In March, the president slapped heavy ones on Chinese steel imports and, just a few weeks later, promised to impose more of them on $50 billion of imports. When those started in July, China’s leaders retaliated against what they called “typical trade bullying,” imposing similar duties on American goods. Despite a warning from the Federal Reserve chairman that “trade tensions… could pose serious risks to the U.S. and global economy,” with Navarro at his elbow, Trump escalated in September, adding tariffs on an additional $200 billion in Chinese goods and threatening another $267 billion worth if China dared retaliate. Nonetheless, Beijing hit back, this time on just $60 billion in goods since 95% of all U.S. imports had already been covered. Then something truly surprising happened. In September, the U.S. trade deficit with China ballooned to $305 billion for the year, driven by an 8% surge in Chinese imports — a clear sign that Navarro’s bold geopolitical vision of beating Beijing into submission with tariffs had collided big time with the complexities of world trade. Whether this tariff dispute will fizzle out inconsequentially or escalate into a full-blown trade war, wreaking havoc on global supply chains and the world economy, none of us can yet know, particularly that would-be geopolitical grandmaster Peter Navarro. Though such experts usually dazzle the public and the powerful alike with erudition and boldness of vision, their geopolitical moves often have troubling long-term consequences. Mahan’s plans for Pacific dominion through offshore bases created a strategic conundrum that plagued American defense policy for a half-century. Brzezinski’s geopolitical lunge at the Soviet Union’s soft Central Asian underbelly helped unleash radical Islam. Today, Alexander Dugin’s use of geopolitics to revive Russia’s dominion over Eurasia has placed Moscow on a volatile collision course with Europe and the United States. Simultaneously, Peter Navarro’s bold gambit to contain China’s military and economic push into the Pacific with a trade war could, if it persists, produce untold complications for our globalized economy. No matter how deeply flawed such geopolitical visions may ultimately prove to be, their brief moments as official policy have regularly shaped the destiny of nations and of empires in unpredictable, unplanned, and often dangerous ways. And no matter how this current round of geopolitical gambits plays out, we can be reasonably certain that, in the not-too-distant future, another would-be grandmaster will embrace this seductive concept to guide his bold bid for global power. Alfred W. McCoy, a TomDispatch regular, is the Harrington professor of history at the University of Wisconsin-Madison. He is the author of The Politics of Heroin: CIA Complicity in the Global Drug Trade, the now-classic book which probed the conjuncture of illicit narcotics and covert operations over 50 years, and the recently published In the Shadows of the American Century: The Rise and Decline of U.S. Global Power (Dispatch Books). Follow TomDispatch on Twitter and join us on Facebook. Check out the newest Dispatch Books, John Feffer’s new dystopian novel (the second in the Splinterlands series) Frostlands, Beverly Gologorsky’s novel Every Body Has a Story, and Tom Engelhardt’s A Nation Unmade by War, as well as Alfred McCoy’s In the Shadows of the American Century: The Rise and Decline of U.S. Global Power and John Dower’s The Violent American Century: War and Terror Since World War II. Or rather letting Deinah Storm offer a guest post. This is a guest post. It stays with the theme of loyalty. The loyalty of dogs towards their dead masters. A dog has always been a man’s best friend. Having a pet dog is always great. You have a partner to go with anywhere you want. Also, you won’t feel alone when you have a pet dog. Dogs are creatures that are filled with joy; no wonder fur parents from around the world try to give their best to show how they care for their pooch—be it to provide them the best dog food, regularly visit the vet, or keep dog house warm. The love and affection that dogs give their owners are comparable to a mother’s love. It is unconditional and lasts a lifetime, and even beyond. Here is a list of eight dogs who remained loyal to their now-gone masters. You may have heard of this name before already. Hachiko’s story has been all over the world. They even made movies about this loyal dog. He was originally owned by a Japanese professor at Tokyo University named Eizoburo Ueno. His students were the ones who nudged him to adopt this beautiful Akita dog. Every day that the professor goes to work, he goes to the train station to take the train. Hachiko always waited for him to return so they could go home together. After having been partners for only less than a year, Eizoburo Ueno died tragically while he was at work. So that day, Hachiko was waiting in vain for his master to return. But, he never did. Still, Hachiko waited every single day of his life for his now-gone to return to the train station. People were feeding Hachiko and giving him treats until he got old and died. A lot of people mourned over his death, and a statue was built for him. Capitan was a dog owned by an Argentinian man named Michael Guzman. He was bought by Michael for his son Damian as a gift. They always had a special bond and loved each other. When Mr. Guzman passed away after just a year, Capitan could not be found by the Guzman family. Eventually, they were able to locate him. He was beside his master’s grave. Capitan stayed there for six long years until he passed away. Hawkeye was a labrador who was owned by a Navy SEAL who died in a helicopter crash in Afghanistan. A photo went viral during his funeral service. It was a picture of Hawkeye lying sadly in front of his master’s casket. He stayed there for the whole service. 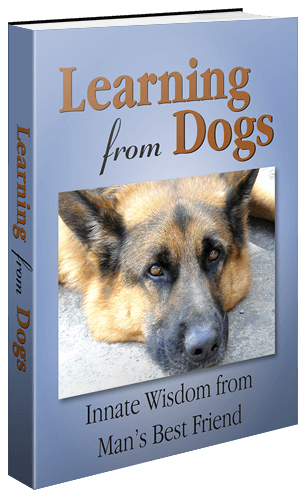 It is disheartening for dogs to lose their owners. Thankfully, the best friend of the deceased took Hawkeye and cared for him. Ruswarp was owned by Graham Nuttall. One day, they went on a walk along the mountains in Wales. But, they did not return. So, Graham’s friends alerted the police. A search was done. But after several weeks, they could not be found. Eventually, after eleven weeks of being missing, another person found Graham beside a stream together with Ruswarp. Ruswarp never left his master’s side even after several weeks. Ruswarp was so weak and ill when they were found. A statue of Ruswarp was unveiled at a train station which he and his owner helped save. Fido was owned by a factory worker in Italy. His name literally translates to “faithful.” He always went with his master to the bus station and waited for him to come back every single day. One tragic day, his owner was killed in the factory due to a bombing attack. Fido waited all day for his owner to return. He eventually returned home, but every single day he waited by the train station for fourteen years until he died. Shep was owned by a shepherd. One day, his shepherd was ill and was rushed to the hospital. Shep waited outside the hospital until his owner died. He followed his owner’s casket as it was loaded onto a train to be sent home. Shep waited by the train station for five years. Every single day, he checked each person who went off the train. He stayed there until Shep tragically died in the train station when he became deaf and went to the tracks where a train hit him. Bobby was owned by a police officer. When the officer died, Bobby never left his grave for fourteen years. When Bobby died, he was buried near his master. He had a gravestone which read “Greyfriars Bobby — died 14th January 1872 — aged 16 years — Let his loyalty and devotion be a lesson to us all.” He had a statue made for him across the place where they are buried. Waghya was owned by the King of the Maratha Empire. Traditionally, when a king dies, his remains are cremated. So, when the king died, Waghya never left his side until he was about to be incinerated. When the funeral pyre was lit, Waghya leaped into his death. Dogs bring love and happiness to the world. They are there forever for humans. They will love you for all of eternity. So, love your dogs and care for them. They will never let you down. It would be wrong of me to close without thanking Deinah. It’s a great guest post. Deinah Storm is a pet lover from the US that’s had cats and dogs all her life. When she’s not walking the dogs with her family, she spends time writing informational and interesting blogs about pets to share with pet lover communities. This is the woman I love! Yes, November 20th, 2010 was the day we became married. And in celebration of that day, and more generally in meeting Jean some three years previously, I want to republish the following. For when I met my darling Jeannie she had been vegetarian for many years and in turn we both became vegan. Later, as an adult in 1944, Watson realized that other people shared his interest in a plant-only diet. And thus veganism – a term he coined – was born. Flash-forward to today, and Watson’s legacy ripples through our culture. Even though only 3 percent of Americans actually identify as vegan, most people seem to have an unusually strong opinion about these fringe foodies – one way or the other. As a behavioral scientist with a strong interest in consumer food movements, I thought November – World Vegan Month – would be a good time to explore why people become vegans, why they can inspire so much irritation and why many of us meat-eaters may soon join their ranks. London, for example, will host its first-ever “zero waste” Christmas market this year featuring vegan food vendors. Donald Watson, who was born just four hours north of London, would be proud. Well all I can say is that if Donald Watson can do it then so can Jeannie and me. That Look – Of A Siberian Husky! Of all the dogs that we can look at the Siberian Husky takes the biscuit! I’m talking about those eyes! Up until reading this article in the Smithsonian I hadn’t really stopped to wonder how those eyes came about. At-home DNA kits have become a popular way to learn more about one’s ancestry and genetic makeup—and the handy tests aren’t just for humans, either. Dog owners who want to delve into their fluffy friends’ family history and uncover the risks of possible diseases can choose from a number of services that screen doggie DNA. As Kitson Jazynka reports for National Geographic, one of these services, Embark Veterinary, Inc., recently analyzed user data to unlock an enduring canine mystery: How did Siberian huskies get their brilliant blue eyes? Piercing peepers are a defining trait of this beautiful doggo. According to the new study, published in PLOS Genetics, breeders report that blue eyes are a common and dominant trait among Siberian huskies, but appear to be rare and recessive in other breeds, like Pembroke Welsh corgis, old English sheepdogs and border collies. In some breeds, like Australian shepherds, blue eyes have been linked to patchy coat patterns known as “merle” and “piebald,” which are caused by certain genetic mutations. But it was not clear why other dogs—chief among them the Siberian husky—frequently wind up with blue eyes. 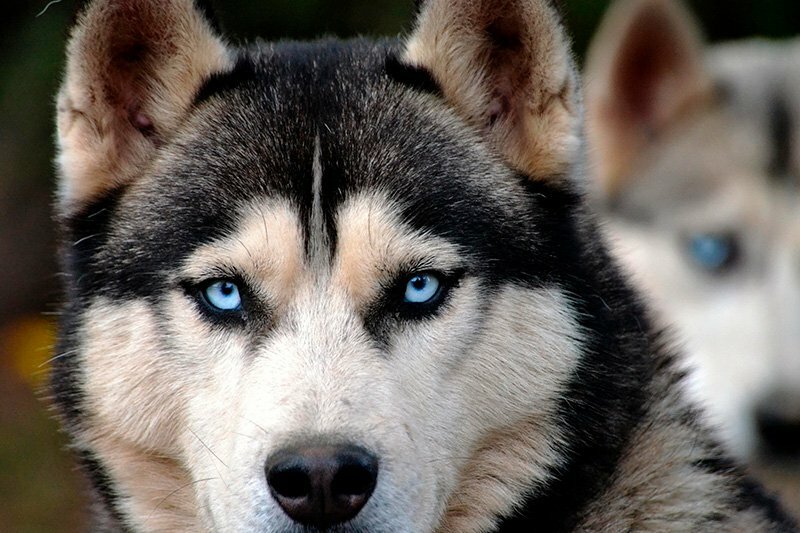 The expansive analysis revealed that blue eyes in Siberian huskies appear to be associated with a duplication on what is known as canine chromosome 18, which is located near a gene called ALX4. This gene plays an important role in mammalian eye development, leading the researchers to suspect that the duplication “may alter expression of ALX4, which may lead to repression of genes involved in eye pigmentation,” Aaron Sams of Embark tells Inverse’s Sarah Sloat. The genetic variation was also linked to blue eyes in non-merle Australian shepherds. Just one copy of the mutated sequence was enough to give dogs either two blue eyes, or one blue and one brown eye, a phenomenon known as “heterochromia.” It would seem, however, that duplication on chromosome 18 is not the only factor influencing blue eye color: Some dogs that had the mutation did not have blue eyes. More research into this topic is needed to understand the genetic mechanisms at work when it comes to blue-eyed dogs. But the study shows how at-home DNA kits can be highly valuable to scientists, providing them with a wealth of genetic samples to study. “With 6,000 people getting DNA samples from their dogs and mailing them to a centralized location and then filling out a website form detailing all the traits of their dog—that’s a game-changer for how genetics is being done in the 21st century,” Kristopher Irizarry, a geneticist with the College of Veterinary Medicine at Western University of Health Sciences, tells National Geographic’s Jazynka. The benefits of having access to such huge troves of data go further than uncovering nifty insights into our canine companions. Scientists are also teaming up with at-home DNA test companies to learn more about human genetics and behavior. There’s such a wide range of information about our lovely dogs! Oh, and I had better include the following. Just a number, or is it! By PAUL RATNER, 31st October, 2018. Does the Universe around us have a fundamental structure that can be glimpsed through special numbers? The brilliant physicist Richard Feynman (1918-1988) famously thought so, saying there is a number that all theoretical physicists of worth should “worry about”. He called it “one of the greatest damn mysteries of physics: a magic number that comes to us with no understanding by man”. That magic number, called the fine structure constant, is a fundamental constant, with a value which nearly equals 1/137. Or 1/137.03599913, to be precise. It is denoted by the Greek letter alpha – α.
What’s special about alpha is that it’s regarded as the best example of a pure number, one that doesn’t need units. It actually combines three of nature’s fundamental constants – the speed of light, the electric charge carried by one electron, and the Planck’s constant, as explains physicist and astrobiologist Paul Davies to Cosmos magazine. Appearing at the intersection of such key areas of physics as relativity, electromagnetism and quantum mechanics is what gives 1/137 its allure. Physicist Laurence Eaves, a professor at the University of Nottingham, thinks the number 137 would be the one you’d signal to the aliens to indicate that we have some measure of mastery over our planet and understand quantum mechanics. The aliens would know the number as well, especially if they developed advanced sciences. The number preoccupied other great physicists as well, including the Nobel Prize winning Wolfgang Pauli (1900-1958) who was obsessed with it his whole life. “When I die my first question to the Devil will be: What is the meaning of the fine structure constant?” Pauli joked. One use of this curious number is to measure the interaction of charged particles like electrons with electromagnetic fields. Alpha determines how fast an excited atom can emit a photon. It also affects the details of the light emitted by atoms. Scientists have been able to observe a pattern of shifts of light coming from atoms called “fine structure” (giving the constant its name). This “fine structure” has been seen in sunlight and the light coming from other stars. The constant figures in other situations, making physicists wonder why. Why does nature insist on this number? It has appeared in various calculations in physics since the 1880s, spurring numerous attempts to come up with a Grand Unified Theory that would incorporate the constant since. So far no single explanation took hold. Recent research also introduced the possibility that the constant has actually increased over the last six billion years, even though slightly. As the units c, e, and h cancel each other out, the “pure” number of 137.03599913 is left behind. 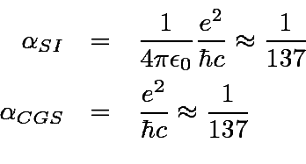 For historical reasons, says Professor Davies, the inverse of the equation is used 2πe2/hc = 1/137.03599913. If you’re wondering what is the precise value of that fraction – it’s 0.007297351. Now, as I said in my introduction, I don’t understand this. But it doesn’t stop me from marvelling at the figure. End the Yulin Dog Meat Festival – now! "Oh my ears and whiskers, how late it's getting"